What is the right leather for you? Leather is a great choice for furniture in any home. It’s a material that never goes out of style and can suit any setting. It’s also a popular for families as it’s incredibly durable and hardwearing. It can get daunting, as there are so many different types and variations of leather each with their own characterises. Remember aesthetics is important but the type you should select should also depend on how you will use the furniture. Quality is the key especially when you have to consider your type of lifestyle so it’s best to do know what type your investing in before you go through with a purchase. Always ask where the leather is from first as some retails offer cheaper manufactured versions of leather. Stay clear from “Bonded leather” A salesperson may throw around this term offering a great deal but that’s false advertising as bonded leather is barely leather at all (only 17% of leather) so basically you will be sitting on plastic. It won’t age well and won’t adapt to your body temperature. 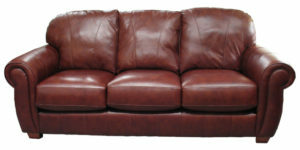 Full-grain leather is using only the highest quality furniture. It is the strongest and most durable leather as it undergoes no processing or sanding to remove discoloration. Full-grain leather makes for tough, long-lasting furniture perfect for high traffic areas. If you have a busy lifestyle with children and pets I strongly recommend investing in full-grain leather. The next best and second strongest leather is called “top-grain” leather. Top grain leather is similar to full-grain leather, except that the top couple millimetres have been sanded and buffed to take away imperfections to make for a more uniform finish. It breathes very well and has great temperature control but it won’t be as durable as it can break down much faster. Split-grain leather is very similar to full-grain leather often having the same pattern discolouration but it isn’t as durable. It comes from the lower half of hides, making it softer but less tough than full-grain leather. Be weary! 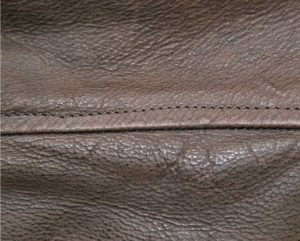 Most furniture items labelled “genuine leather” are most likely a covered in split-grain leather.  Aniline leather is a type of leather that has been treated with dye. The dye hides any imperfections in the leather and usually makes the leather softer. 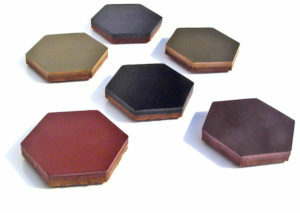 Popular choice for people who want the quality of full grain leather but prefer a more even colour. Pigmented leather is lower grade leather dyed to hide all colour imperfections making it less natural looking. The upside is it has a polymer coating so it has a very strong resistance to fading and stains. The coating gives the leather a shiny feel and it is quite tough at first but it softens over time. With it’s strong durability it’s a great choice for families. When choosing the right leather for you always remember to ask a salesperson directly about the construction, fabric, leather, and warranty first to make sure you’re getting what you and your family deserve. Or for more professional advice on materials for your home please contact the team of Inspired Spaces today!